Bohol has now fully set up a backup power source that would provide supplementary electricity in instances of supply shortfall from the province’s main source in Leyte and the rest of the grid. 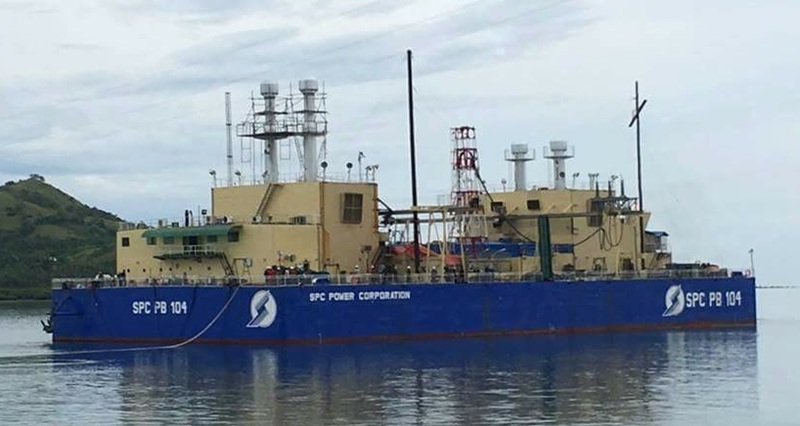 This came after the National Grid Corporation of the Philippines (NGCP) completed on Saturday the interconnection between the power barge of Salcon Power Corp. (SPC), now docked at Tapal Wharf in Ubay, and a power substation in the same town. The service areas of Boheco I and Boheco II just had to bear two rounds of one-hour power interruptions on Saturday- -one in the morning and the other in the afternoon- -as the NGCP was undertaking the last stage in the process of tapping its 69Kv Ubay-Tapal transmission line from its substation in barangay Imelda, Ubay to the power barge. Affected service areas of Boheco II included the whole town of Valencia under feeder 2 and some parts of Garcia-Hernandez such as barangays West Canayaon, East Canayaon, East Ulbujan and West Ulbujan under feeder. For Boheco I, the addected areas were Carmen, Sagbayan and Pilar which are being served by the Carmen substation that taps power supply from Trinidad which is connected to Boheco II. 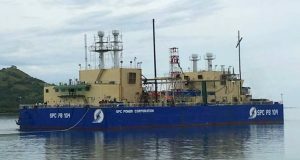 The Ubay-Trinidad 69kV transmission line was affected by the maintenance activities of NGCP and the completion of technical procedure in the tapping of its 69Kv Ubay-Tapal transmission line from its Ubay substation to the power barge. The transmission line spans four kilometers from the barge to the land-based connection. NGCP’s 10MVA and 5MVA transformers in Ubay were shut down for an annual maintenance. SPC brought its Power Barge 104 to Bohol from General Santos City in response to the request of the provincial government to address the power supply shortage suffered by Bohol as a consequence of the damage on the facilities of the geothermal plants of the Energy Development Corp. in Leyte, the main source of the province for power supply. The electrical current is being transmitted through the NGCP substation in Ubay and distributed to the households by the distribution utilities (DU)- -Boheco I, Boheco II and the Bohol Light Company, Inc. The 4,000-gross-tonnage power barge is temporarily docked at Tapal Wharf in Ubay since it arrived Bohol on August 19 while the Catagbacan port in Loon where it is supposed to dock is still being repaired. It is estimated that repair of Catagbacan port will be done by December and the power barge can already be transferred to its mooring facility. The power barge has the capacity of 32 megawatts, but only 26 megawatts will be available once commissioned. Gov. Edgar Chatto said the provincial government has an agreement with SPC on the “no use-no pay” policy to minimize the cost on the part of the consumers. 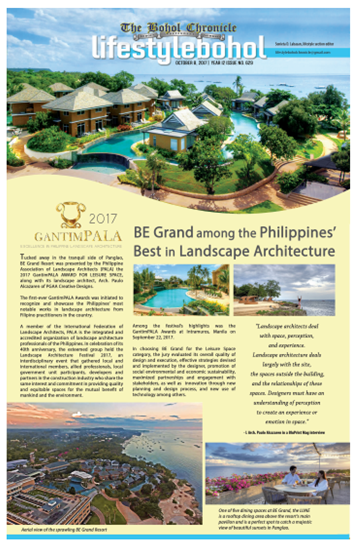 In the arrangement, SPC will only charge for the power coming from its power barge and it will not collect payment for its stay in Bohol. For its part, officials of the Philippine Ports Authority (PPA) assured that while the power barge is docked at Tapal Wharf, there will still be enough berthing and docking space for other vessels at the area so the usual trips and commercial activities at the port area could continue unaffected.